Configure space with color and geometric form. Bolla Storage is both a storage system and a room divider. Great selection of colors available to suit any environment. Bolla Storage is an amazing combination of geometry and physics. Inner panels coil in and the natural compressive force holds the shelving system together without a single tool. Bolla packs flat, very light weight and it can be assembled in minutes. Online orders come with Free shipping. The Bolla shelving storage units organizer is heavy duty and double sided. A great storage rack for home, office, and retail stores. 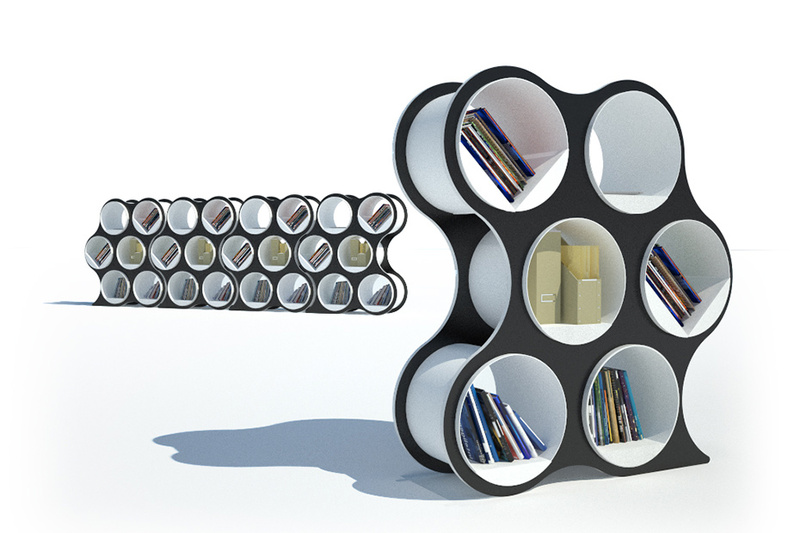 BOLLA Storage was created by David Winston as a unique alternative to traditional shelving. BOLLA is playful, individual, and adaptable to a broad range of uses in home, office, retail, and display environments. The clever and innovative form of BOLLA Storage is a trademark of David's approach to design.